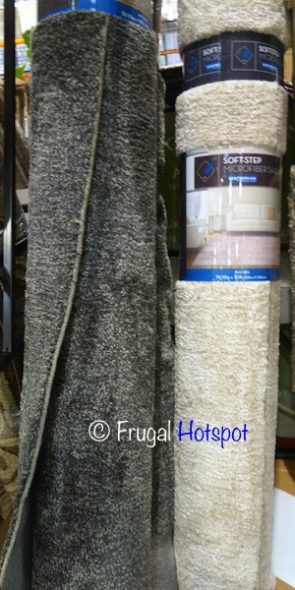 As the name suggests, this rug is very soft to the touch. 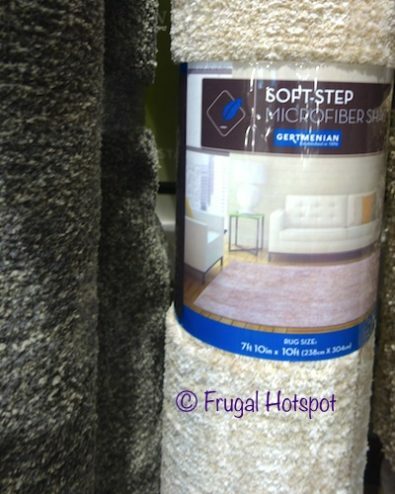 Costco has the Soft Step Microfiber Shag Rug 7’10” x 10′ on sale for $149.99 (after instant savings), from January 7, 2019 through January 13, 2019. That is $40 off Costco’s regular price of $189.99. While supplies last. Price and participation may vary by location. Color selection may vary by location. Vacuum regularly, using suction feature on vacuum. Do NOT use rotating brush as long pile may become entangled. Clean spills or spots using mild soap and water solution. Air dry thoroughly. For more significant staining, consult a rug cleaning professional. Imported by Gertmenian. Item #1174262. This product was spotted at the Covington, WA location. Price and participation may vary so it may not be available at your local Costco or it may not be on sale at your local Costco or it may be a different price at your local Costco. Prices & sales dates may change at any time without notice. Photos may not be a perfect representation of the product.